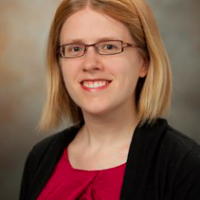 Alison Hayward, MD, MPH is part of the global health section faculty at Yale Department of Emergency Medicine and serves as director of medical student education for the department. She obtained her medical degree from Penn State College of Medicine and her public health master's degree from University of Massachusetts. She attended residency in emergency medicine at University of Massachusetts and subsequently completed a fellowship in disaster medicine and emergency management there. Her main academic interests are global health ethics, public health, and medical education. Dr. Hayward's research interests include measuring the impact of global health experiences in medical education, utilization of social media for medical education, and optimizing preparation for global health experiences. Dr. Hayward helped to develop the Practitioner's Guide to Global Health massive open online course (MOOC) on edX, and remains as a faculty member for the course. Dr. Hayward served as co-founder and director for the Uganda Village Project in rural eastern Uganda for 10 years, overseeing public health programs including malaria prevention, family planning, water, sanitation and hygiene. She currently serves as the chairperson of the Uganda Village Project board, in addition to serving as treasurer for Women Physicians for Humanity.